BoyRaket.com: ASUS JOINS IN ON THE SHOPEE SUMMER FUN WITH A ZENFONE MAX PRO M2 FLASH SALE ON APRIL 4! 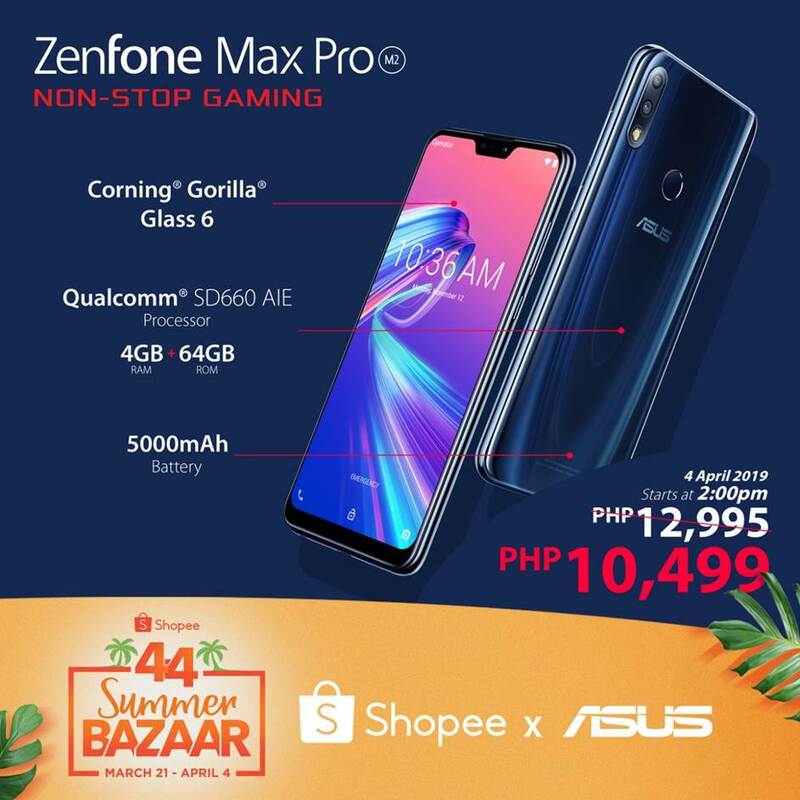 Shopee Philippines greets the summer season with a huge 4.4 Summer Bazaar, and ASUS Philippines will definitely be in on the fun! The sale will be featuring one of the brand’s most recentBattery Kings, the ZenFone Max Pro M2 4GB RAM Variant, which will undoubtedly maximize anyone’s season experience.